Datawind Droidsurfer models feature a 7-inch display and are powered by a dual-core Cortex A7 processor. Datawind has announced its first detachable tablet or netbook devices in India. The company, which leads the budget tablet marketplace in terms of marketshare, has announced Droidsurfer Netbooks 7DC+ & 3G7+ in India. The Droidsurfer models differ from each other only based on their connectivity option. Both the Droidsurfer models feature a 7-inch display and are powered by a dual-core Cortex A7 processor. 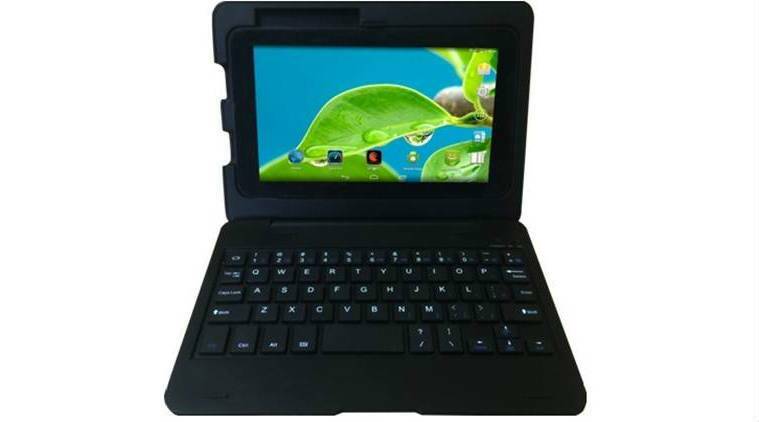 Droidsurfer Netbooks 7DC+ & 3G7+ feature 0.3MP front camera and a 2MP rear camera. The detachable tablets run Android 4.4.2 operating system and Datawind is pitching this device as ideal for education and entertainment. The Droidsurfer Netbooks 7DC+ is priced at Rs 3,999 while 3G7+ is priced at Rs 4,999. Both the netbooks come bundled with free internet access on Reliance network.